With the new Baroncelli Midnight Blue watches, Mido is commemorating its horological heritage. This watch is offered as a pair and is thus part of the Baroncelli line. Just perfect for all the couples who want to express their affiliation with two matching timepieces. 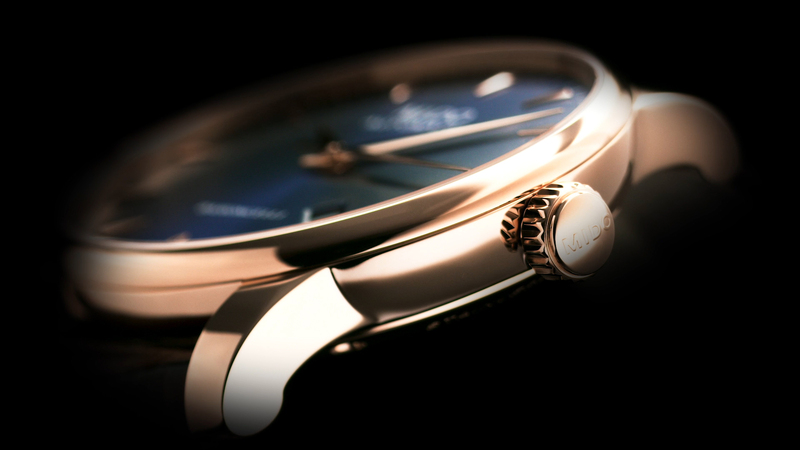 Mido has finished the deep blue dials of the Baroncelli Midnight Blue with a satin sunburst finish. The women’s model features diamond hour-markers, which further enhance the intensity of the blue hue. The Dauphine-shaped rose gold hour and minute hands are faceted, as are the beautiful lancet-shaped indexes of the men’s version. There’s just one small complaint we have about the Baroncelli Midnight Blue and that is, that the dark blue dials are quite rudely interrupted by the white date windows at the 4.30 o’clock position. 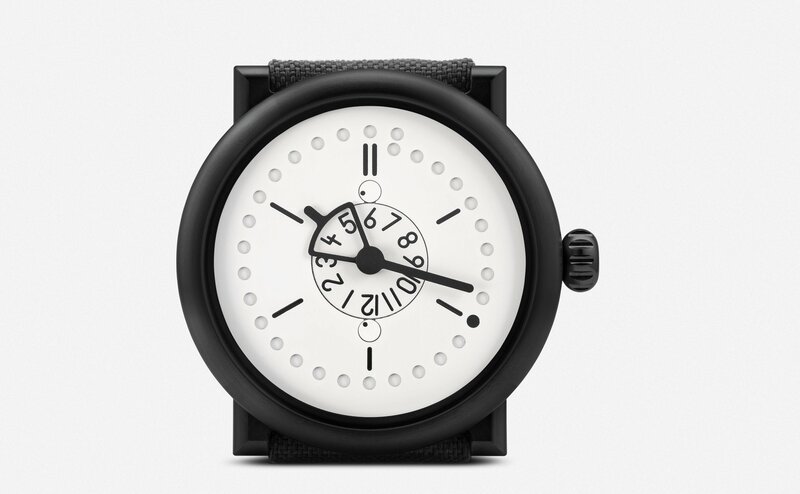 The dials are protected by a sapphire crystal with an anti-reflective coating on both sides. The round cases of the two timepieces are measuring 29 mm for the ladies’ version and 38 mm for the men’s version. They are made of stainless steel with a rose gold PVD coating and are water-resistant up to a pressure of 5 bar or 50 metres. The two Baroncelli Midnight Blue are powered by an automatic movement. In the women’s model, the ETA 2671 operates at 28,800 vibrations per hour. It provides a power reserve of 38 hours. Mido has equipped the men’s watch with the Calibre 80 (based on the ETA C07.611), which provides a power reserve of up to 80 hours. However, it operates at a slightly lower frequency with 21,600 vibrations per hour. Both movements are decorated with Geneva stripes and the company logo. 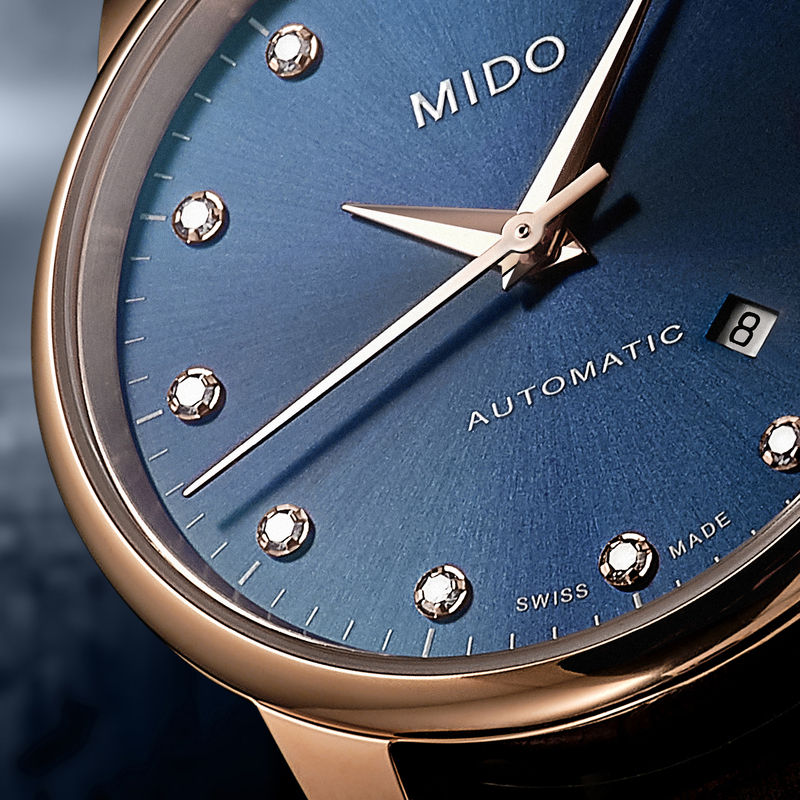 Mido has equipped both watches with a sapphire crystal back so the movements and its finish can be admired accordingly. Mido has fitted both models with a Vachette leather strap in a semi-matte crocodile look. 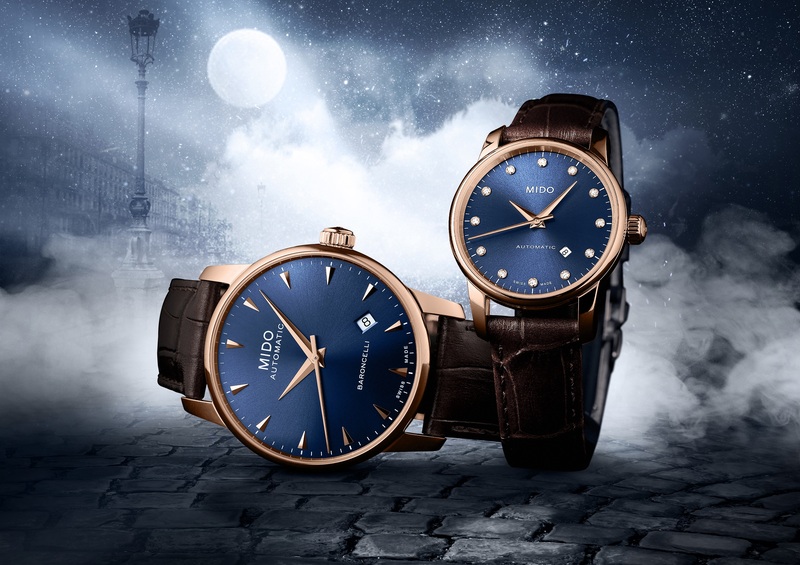 In addition to the two Baroncelli Midnight Blue watches with rose gold coating, Mido also offers the pair in a stainless steel version. 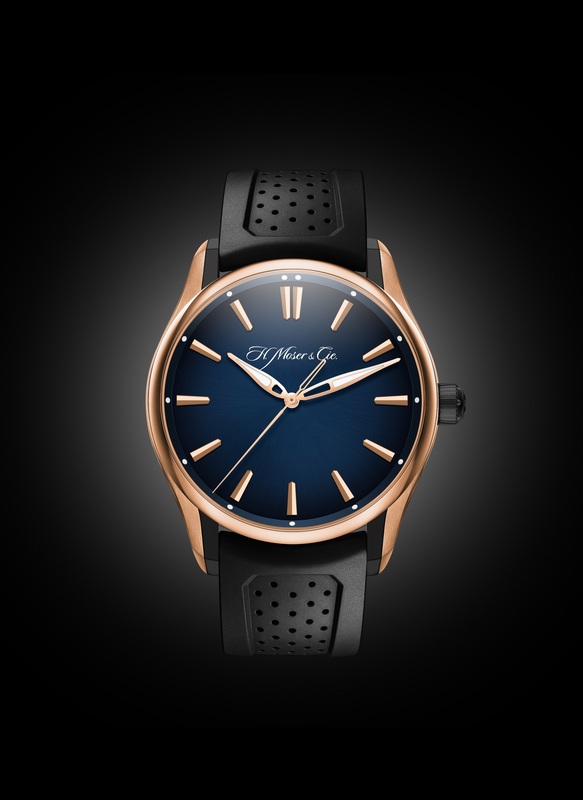 In January, H. Moser & Cie. launched two new watches that combine comfort and are designed for everyday wear. Their elegant, audacious and contemporary design evokes references to the industrial world. The two timepieces are part of the Pioneer family and come in sturdy cases. The Pioneer Tourbillon and Pioneer Centre Seconds adapt to any situation. H. Moser & Cie. has equipped both models with red gold casings with DLC-finished titanium inserts. The cases have a diameter of 42.8 mm and are waterproof to 120 metres. 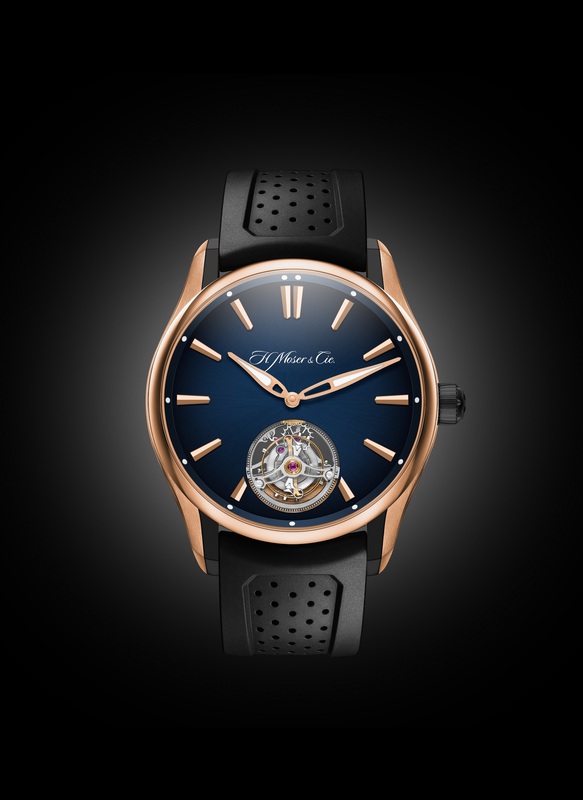 The Midnight Blue fumé dial is topped with a domed sapphire crystal that highlights the deep blue tones. The indices, tipped with a luminescent dot, are faceted, and the hands are partially skeletonized with Super-LumiNova tips, perfectly in line with the open, streamlined aesthetic. 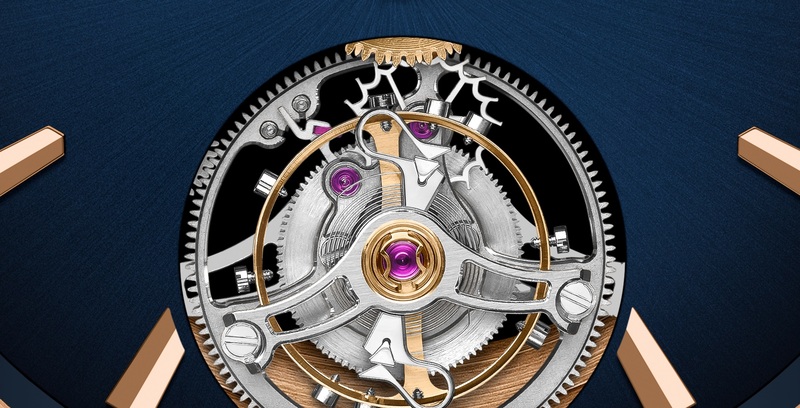 The Pioneer Tourbillon is powered by the HMC 804 Manufacture Calibre. The automatic movement was developed by H. Moser & Cie. and is also manufactured in-house. It is equipped with a double flat hairspring, which reduces the effect of gravity on the mechanism and thus improves accuracy. H. Moser & Cie. designed the tourbillon as an interchangeable module, assembled and regulated independently of the movement, which allows easy servicing. The calibre HMC 804 provides a power reserve of 72 hours. The Pioneer Centre Seconds is also powered by an automatic movement. H. Moser & Cie. designed and manufactured the HMC 200 also completely in-house. Like all H. Moser & Cie. movements, these two movements are 100% Swiss Made and elaborately finished by hand. All of this is visible through the crystal sapphire case back. A rubber strap provides the final touch, reinforcing the contemporary dynamic of this stylish model, with a bold touch of non-conformity. H. Moser & Cie. has created two stylish models with a contemporary dynamic. The Pioneer Tourbillon is a limited of 50 pieces, the Pioneer Centre Seconds however, is not limited. The watches made by Ochs und Junior look very simple and lack much of the usual pomp of luxury watches. At the same time, they present an extremely sophisticated approach to modern watchmaking that emphasises functionality for itself. But this does not mean that watchmakers as well as watch lovers do not absolutely adore the puristic wristwatches. The latest addition to the Ochs und Junior collection, the two time zones + date, also embodies the manufacturer’s strictly uncluttered design philosophy. 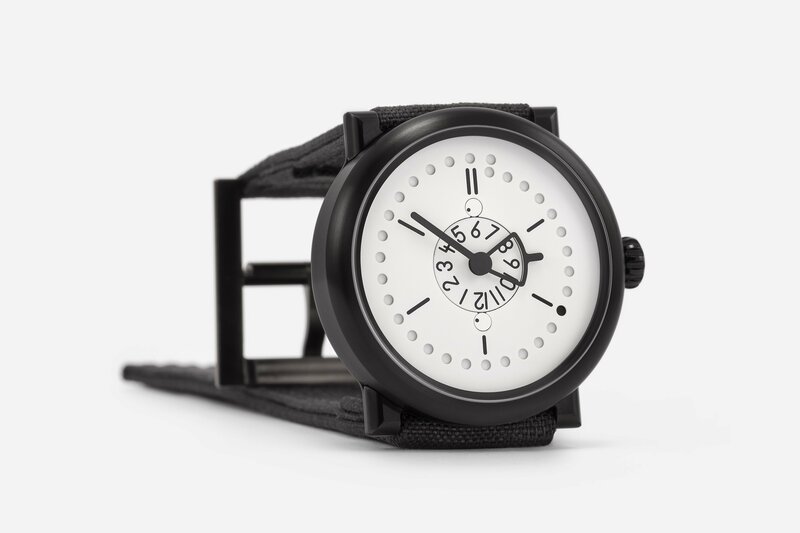 The two time zones + date shows hours and minutes in two different time zones, the date in your home timezone, running seconds and the power reserve. The big innovation in this watch is how Ochs und Junior has decided to implement the second time zone. Instead of adding an extra hand, Ochs and Junior opted for a central hour disc and replaced the traditional hour hand with one with a wedge-shaped opening. The main hand shows the local time, while the opening frames the hours of the second time zone. The spiral date display, which runs around the outer rim of the dial, consists of 30+1 holes that are easy and intuitive to read. The small disc at twelve o’clock indicates the power reserve (the dot pointing to the right, when the watch is fully wound, and pointing to the left when the power reserve gets empty), while the small disc at six o’clock indicates the running seconds. The Ochs und Junior two time zones + date display is powered by the Ulysse Nardin UN-118 basic movement, to which only ten additional components have been added to implement the date display and the GMT time. This automatic movement operates at a frequency of 4 Hz and provides a power reserve of up to 60 hours. All settings are made via the crown. 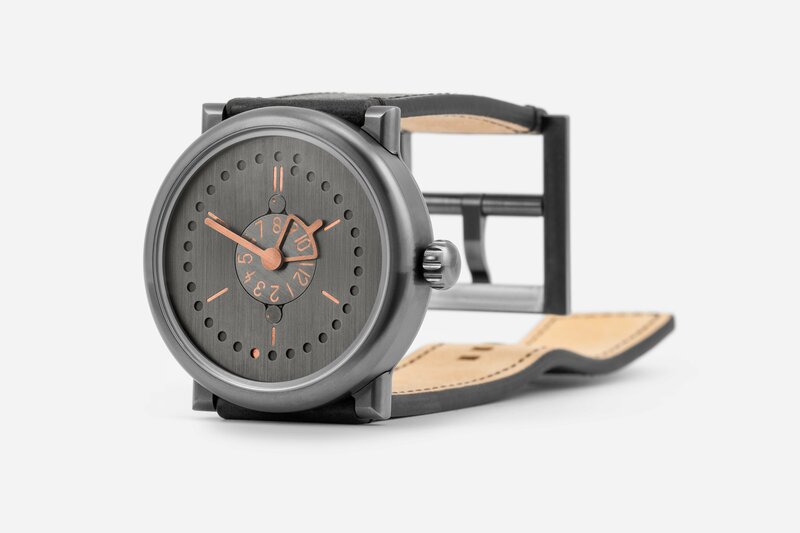 The two time zones + date comes in a 42mm titanium or PVD-coated titanium or silver case. And like everything else – the dial, bracelet and the colour of the Super-LumiNova – the case material can be changed to fit the individual taste of the buyer. This is a feature, Ochs und Junior offers for all its watches, how awesome is that? The case is water resistant up to 10 atm. 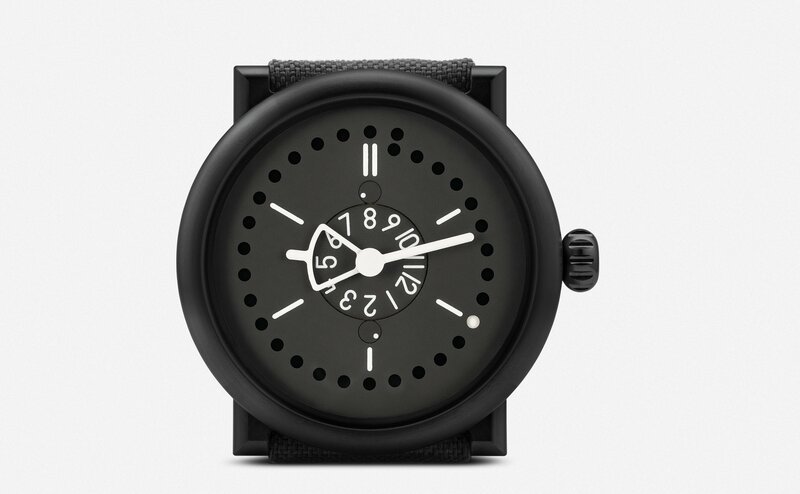 The Ochs und Junior two time zones + datum is as much fun as the other models made by the manufacturer. It is always exciting to see how Ochs und Junior can implement new functions once more simply and intuitively. And we can hardly wait to see what will be next.